A beard that is well-kept and properly trimmed can be a great addition to your look and style. There are many different men’s beard styles, so it is important to choose one that will look the best with the shape of your face. Unlike celebrities, people like you and I do not have an entire team of experts that know of the best stubble trimmer or that can tell us exactly how to maintain a beard to keep it looking perfect at all times. We have to rely on research and articles to help us figure out what beard shape creates the best look for our face. Round – When creating a beard shape on a rounded face, it is best to stay away from sideburns at all costs. Sideburns will outline the roundness and take away from your other facial features. In fact, a goatee is a great option for those with a round face. Don’t be afraid to grow your beard a little longer at the chin. This will help add length to your face and reduce the look of roundness. Square – For men who have a square-shaped face, it is beneficial to have an all-over beard that is closely shaved to your face. Adding in a touch of style around the chin or mouth will work just as well. This will make the face look thinner and allow it to appear less box-like. Creating this look is easy and doesn’t require a lot of maintenance. 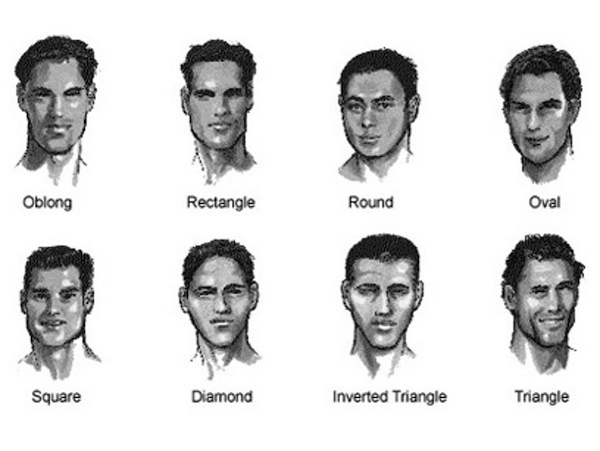 Triangular – Those with triangular-shaped faces often have pointy chins. A beard that is fuller will look great on these faces because it will add some weight to the face along the chin and jawline. Pear or Diamond – Diamond or pear-shaped faces often have very prominent chins. A full beard, sideburns, and a small moustache will minimize the appearance of a prominent chin and balance out your facial features. Rectangle or Oblong – Rectangular and oblong faces tend to look slim and angular. It is best to avoid a lot of hair on your chin because it will add unnecessary length to your face. It is a good idea to add closely-shaved sideburns, a moustache, and hair on your cheeks. This will round out your face some and create a distinguished look. How you shape a beard says a lot about your personality. Whether your face is long and small or round and large, the best thing about beards is that you can experiment with different looks and styles until you find one that you feel good wearing.